Just to highlight some recent changes to the WBOC Internet presence. For a while we have had a Twitter account and most posts to the WBOC website have been tweeted about on there. However we now also have a Facebook account and events and goings on, will also be posted there too. to find us on Facebook look from your Facebook account at: https://www.facebook.com/WildernessBOC/ (@WildernessBOC) and then “Like” us. If you haven’t signed up to ether of these social media channels yet or have no intention to (which is your absolute right) but would still like to see what we have been saying, then just look to the bottom right of this web site and you’ll see the latest posts and tweets that we have sent out to the world. 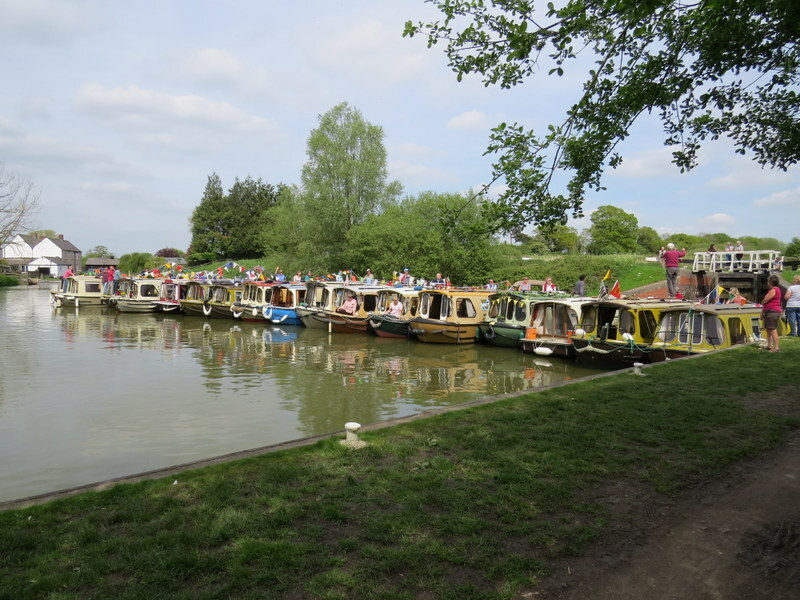 The picture is of just a few Wilderness boaters being social, having passed down the Caen Hill flight on the K & A celebrating WBOC’s 25th anniversary as a club two years ago by boating together.